So, what did Dottore Gianni LIKE about Llandudno? Plenty! 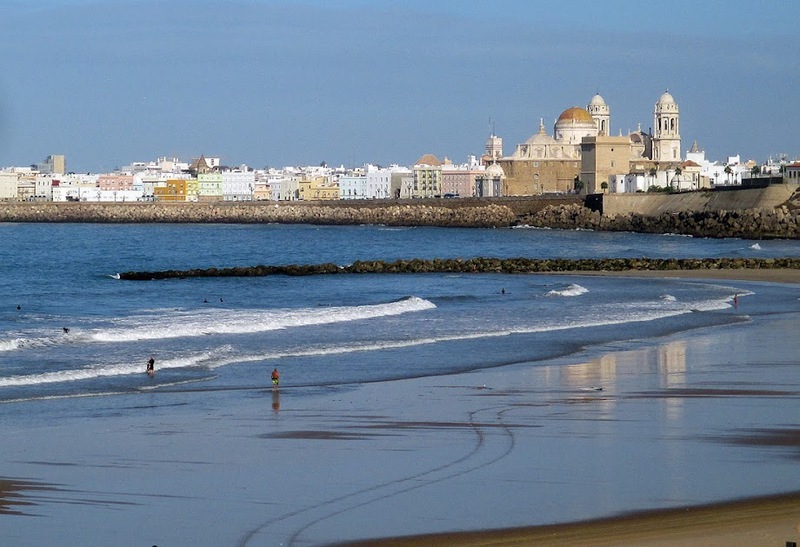 The sea air, to begin with, is invigorating, and the days here have been lovely thus far – supposed to be not so nice tomorrow. The Promenade, a wonderful pedestrian and bicycle zone all along the shore, and between it and the sea itself a rocky beach, probably unpleasant to lie on, but a lot of people were doing just today, as it was quite lovely outside. The Pier, said to be the prettiest in all of Wales, filled with food and souvenir shops, arcades, kid-friendly places to play, and at the end a lovely Victorian pavilion. 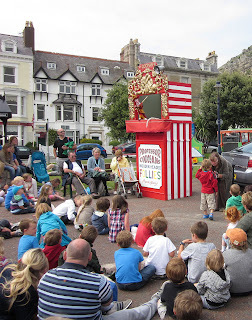 The Punch and Judy show! The oldest remaining one in England. 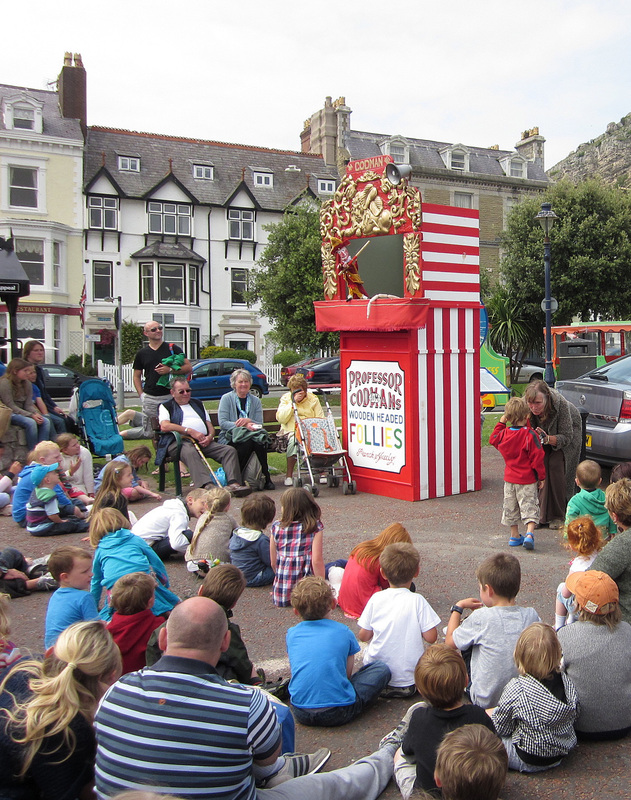 Begun in the 1860s, “Professor” Codman’s Punch and Judy Show is said to be the longest running such show in the world – and it’s still in the family. Silliest stuff you ever saw, but well executed (Punch even finds a way to beat the devil), and the children, the prime target audience, LOVE it. I did too, I’ll admit! 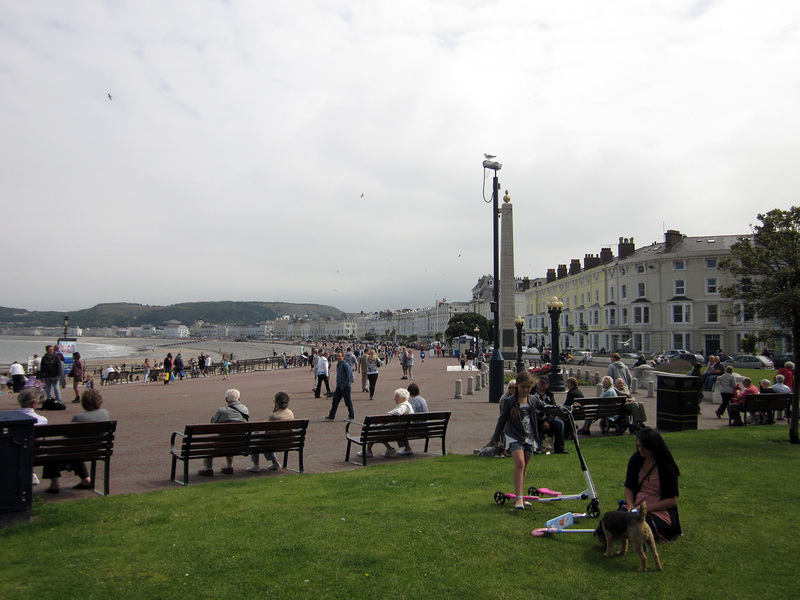 It’s played outside, on the Promenade, just off the Pier (notice the alliterative titles? 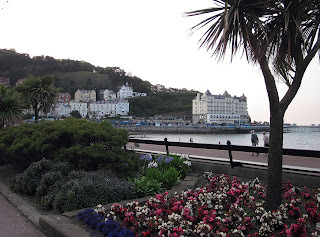 Promenade…Pavilion…Punch and Judy – it doesn’t continue, I promise). 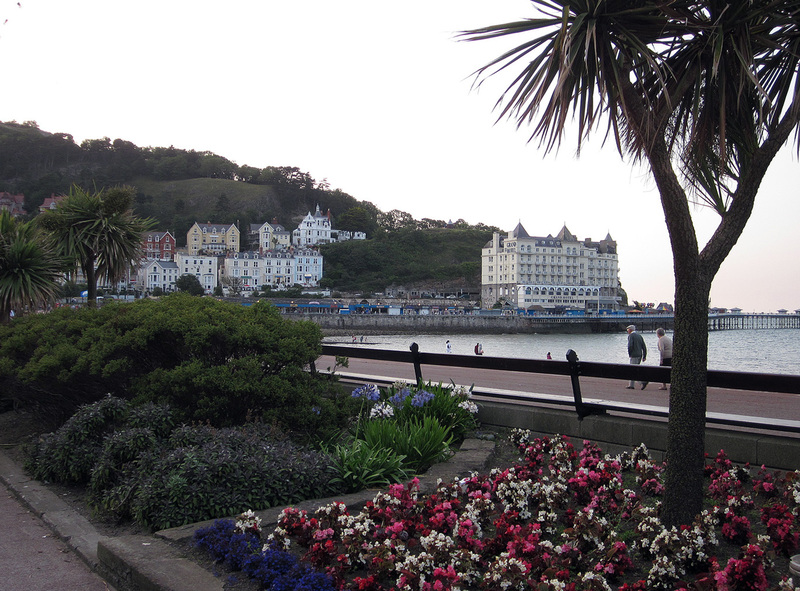 The Victorian houses and hotels, which give it a dignified air, probably more so than it deserves. The history of the place is interesting. Before the late 1850s this was a very quiet spot, only fishermen and a few cottages. 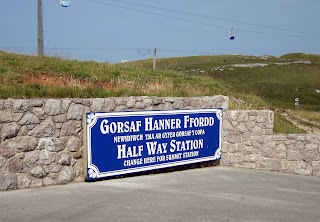 Then the main source of the income in the area, copper mines, began to dry up, and Lord Mostyn and a friend sat in The King’s Head Pub and came up with a plan – to turn the place into a seaside resort, a sort of vacation plan not all that popular with the British before this time. 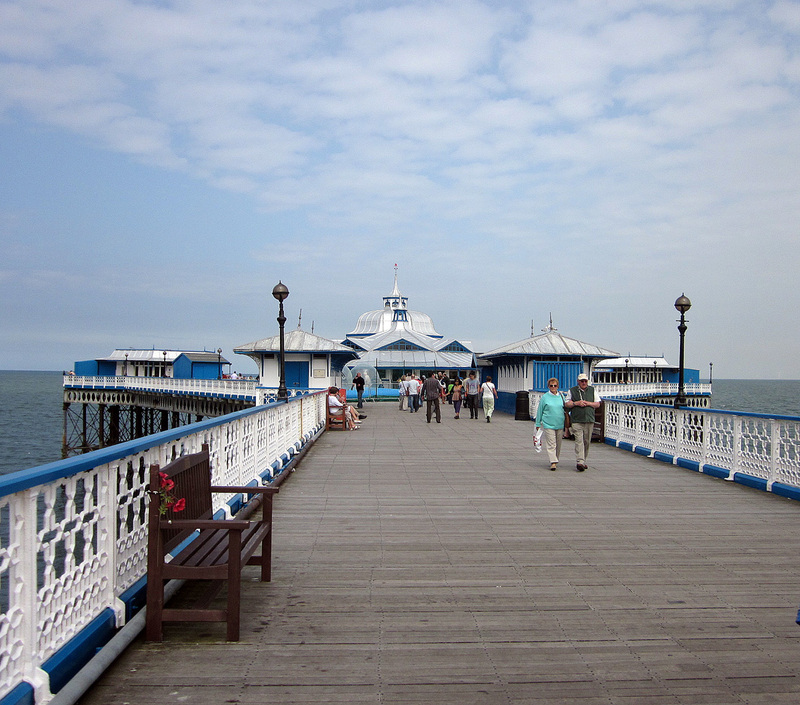 For example, the famous piers in Brighton were built after the pier in Llandudno. If Brits wanted a beach they went to the south of France, or to Italy. But of course only the privileged few had that pleasure. 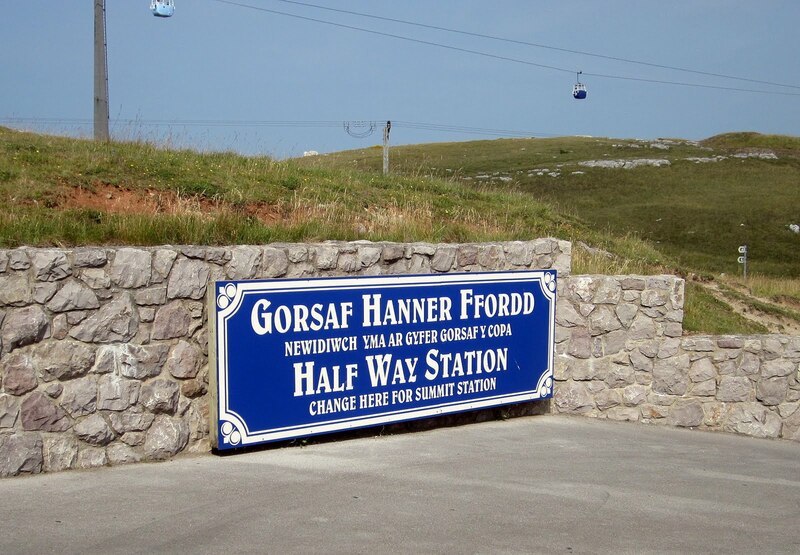 So Mostyn was vital to the success of Llandudno, which is why its main street bears his name today. 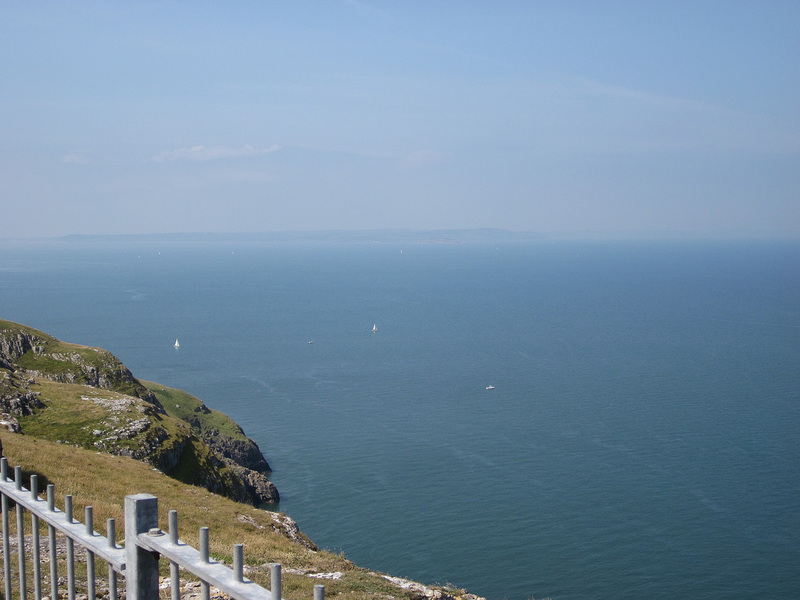 Long before Lord Mostyn transformed Llandudno in the 19th century, the area was Christianized in the 6th century A.D. by a man who would eventually become Saint Tudno. He built a chapel and lived in a cave within the cliffs on the amazing limestone formation called The Great Orme, which towers over the city and offers spectacular views. 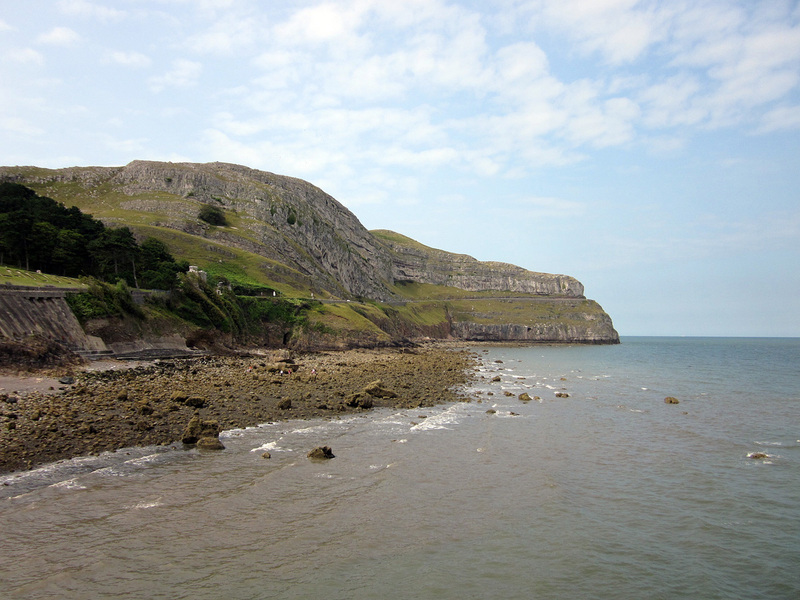 Across the bay from the Great Orme another such formation is called The Little Orme. Llandudno is home to the North Wales Theatre, located in the Venue Cymru, a contemporary design that still seems a decent fit with the Victoriana surrounding it. I thought I might attend, but the summer fare is pretty predictable, with rock ‘n’ roll based reviews leading the way. In Landudno on Tuesday nights the men’s choir sings. Sorry to miss it, as Wales is known for pretty beautiful singing by fairly ordinary men. There is a museum that has fewer operating hours than I’d hoped, and takes a break for lunch from 1 to 2 pm. As I walked in they were about to leave for said lunch, and by 2 pm I was on to other adventures. Oh! There is an interesting connection to Alice in Wonderland here. The Liddell family spent time in Landdudno. Optimists among historians claim that Lewis Carroll visited them there, the pessimists claim that there is no proof to this. So much for history. At any rate, it hasn’t stopped the town from from installing a small topiary of Alice’s pals next to the pier, and a statue of the White Rabbit near the Liddell residence. Daughter Alice Liddell, you may recall, was Carroll’s inspiration for the wonderland Alice. There is, or was, even an Alice in Wonderland Centre! No, I didn’t make a visit. The place fell on hard times and closed down in 2008. You can still find it on the web – lots of pictures of cute, but some bordering on scary) dolls. Apparently the owner is looking for a museum that will take the dolls and other Alice paraphernalia. 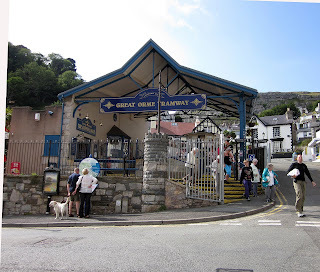 Why doesn't the Llandudno Museum step up to the plate?! Please don’t count me as an Alice-phobe (or do if you like) but I probably wouldn’t have visited anyway. particularly for a person of my tastes and sleeping habits, early in the morning (particularly when breakfast at the Winchmore does not begin until 9 am). 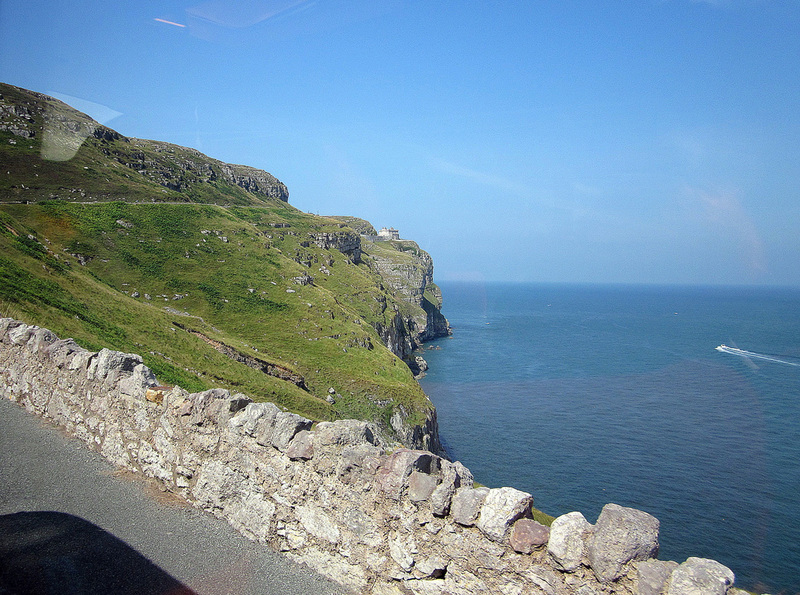 I ventured beyond the promenade this morning, just beginning the climb along the sea to the Great Orme – may go even farther tomorrow, as I have little left to do here and my train doesn’t depart until noon. p.s. I lied -- I noted two parts to this, but the tale has become epic, and requires a third and last part, I promise!